A memorial service will be held this Saturday (Oct. 15) for Elias H. Tuma, professor emeritus of economics who died July 23 at his home in Auburn. He was 87. He taught numerous courses in his nearly 30 years as an active faculty member, starting in 1965, specializing in economic history and economics of the Middle East. He authored 11 books, including Twenty-Six Centuries of Agrarian Reform (1965); Peacemaking and the Immoral War: Arabs and Jews in the Middle East (1972); The Economic Case for Palestine, co-written with Haim Darin-Drabkin (1978); Economic and Political Change in the Middle East (1987); and The Persistence of Economic Discrimination (1995). He had been a Fulbright Scholar and served as a consultant to the United Nations, and to Harvard and Cambridge universities. He loved university life and continued to teach one freshman seminar course each year for several years after his retirement in 1994. He loved working with students and believed in the power of education to change lives and to change the world. He was born in 1928 in the Galilee area of Palestine, where he witnessed tremendous violence and hardship in the years leading up to the establishment of the state of Israel. The University of Redlands awarded him a scholarship in 1955, and he earned his bachelor’s degree there in 1957. He went on to UC Berkeley, earning his Ph.D. in economics in 1963. He spent the last 24 years of his life were spent in Auburn, where he and his wife, Dory, built a home and established a tree farm on 8.5 acres. Over the years, he estimated that he had planted more than 30,000 trees, including incense cedar, scotch pine, Arizona cypress and coast redwoods. He also planted a fruit and nut tree orchard that included nine types of figs, along with almond trees and several varieties of citrus. Besides his wife, he is survived by children John, Mary and Rabiya; and grandchildren. 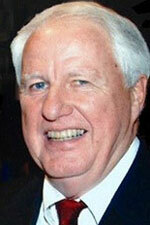 His memorial service will be from 10:30 a.m. to 2 p.m. at the International House Davis, 10 College Place. In lieu of flowers, the family welcomes gifts to UNICEF or to The Pantry, the ASUCD’s food bank for UC Davis students. 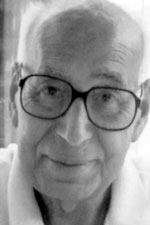 Mortimer D. Schwartz, a professor and founding director of the law school library, died Sept. 10 at the age of 94, the School of Law reported in an obituary posted Sept. 13. A respected legal scholar, he co-authored or co-edited many books on subjects including space law, legal ethics, children’s rights, pollution law, environmental law, legal history and law library administration. He had received numerous awards for his work, including the Marian Gould Gallagher Distinguished Service Award, the highest award for service granted by the American Association of Law Libraries. 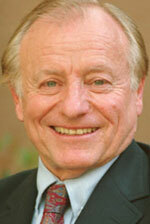 He came to UC Davis in 1965 to create the law library of the soon-to-be-opened School of Law. There was no law school building and no library staff, nor were there any books. By the time he retired in 1991, the law library was one of the outstanding law libraries in the country. A celebration of life for Hibbard E. Williams, second dean of the School of Medicine, will be held from 11 a.m. to 2 p.m. this Saturday (Oct. 15) in Tupper Hall on the Davis campus. Williams, an endocrinologist and internationally respected expert on kidney stone disease who served as the medical school dean from 1980 through 1992, died July 26 at his home in Davis. He was 83. Read his obituary. In a news release this week, the UC Davis Health System reported that Williams’ commitment to mentoring and advancing the career of the next generation of medical leaders lives on — by way of his family’s having donated his body to science, through the health system’s Body Donation Program; and through the establishment of the Hibbard and Sharon Williams Student Scholarship Fund for medical students.